(KGTV) - Car repairs can be costly, especially if you’re trying to make it in San Diego. That’s why a new report shows that people are holding onto older cars longer. 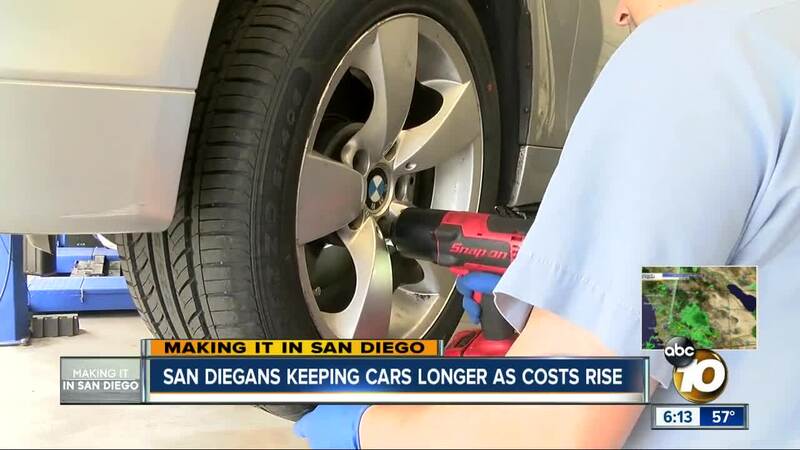 A new study claims more than 11 percent of car owners in San Diego are saving cash by keeping their cars for more than 15 years instead of opting for a new vehicle. The study, conducted by iSeeCars , shows that the top cars kept for 15 years by their original owners are exclusively Japanese models, many of them Toyotas. iSeeCars put out a list of the top 15 cars people tend to keep longer than average. The list below also shows the average price for newer models of the vehicles provided by U.S. News and World Report versus their prices 15 years ago, provided by Edmunds and Kelley Blue Book.